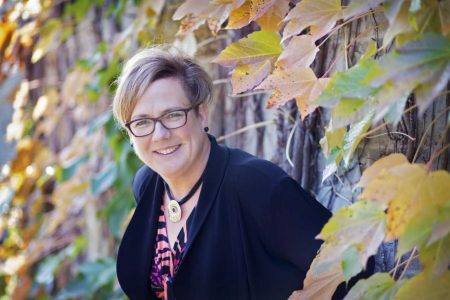 An award-winning professor, researcher and arts and humanities advocate has been named the next dean of the University of Guelph’s College of Arts (COA). Samantha Brennan begins a five-year term Jan. 1, 2018. The announcement was made today by Charlotte Yates, provost and vice-president (academic). The decision follows an extensive international search by a hiring committee composed of faculty, students and staff, and chaired by Yates. “Professor Brennan is an exceptional leader and strong researcher who understands and promotes the value of a liberal education,” Yates said. Brennan is a professor of women’s studies and feminist research at Western University. She served as chair of Western’s Department of Philosophy for eight years and was a founding member of the Rotman Institute of Philosophy. She researches moral and political philosophy, especially contemporary normative ethics and feminist ethics. Brennan said she’s “honoured and humbled” to join the College of Arts, with its “warm collegial environment” and talented and creative students, faculty, staff and researchers. “It’s an exciting opportunity to build new relationships, explore new possibilities, and provide strategic leadership,” she said. Brennan joined Western in 1993 as an assistant professor of philosophy. She has been teaching in the women’s studies program since 2015, and has taught in the digital humanities program and School for Advanced Studies in the Arts and Humanities. The author of dozens of journal articles, book chapters and book reviews and co-editor of numerous scholarly volumes, Brennan has been a visiting scholar at the University of Toronto, New Zealand’s University of Otago and the Australian National University. A prolific blogger on feminist issues and an advocate for the public humanities, she is president of the Canadian Philosophical Association and co-founder and a co-editor of Feminist Philosophy Quarterly. She holds a bachelor of arts degree from Dalhousie University and a PhD in philosophy from the University of Illinois at Chicago. In making today’s announcement, Yates thanked the search committee and the University community for input during the search, and thanked Sophie Lachapelle, acting associate vice-president (academic), for agreeing to serve as acting dean until Jan. 1, 2018. “I also want to express my appreciation to Don Bruce for his dedication and contributions as COA dean for the past 11 years,” Yates said. Bruce finished his term June 30, 2017.